ALAB Pilipinas is expected to bring in its second world import this week in the Asean Basketball League in Korean-American Daniel Sandrin, who is also known by his Korean name Lee Dong Jun. Sandrin, brother of Alab import Lee Seung Jun (whose American name is Eric Sandrin), didn't suit up for the Philippine side in its home opener against the Singapore Slingers after failing to arrive in time for the game. Alab coach Mac Cuan said Daniel Sandrin was unavailable to make the flight to Manila in time for Sunday's game against the Slingers were the home team lost, 71-66. "They told me he is arriving tomorrow night (Monday). He was supposed to arrive Friday or Saturday. First, they said may sakit daw and the doctor didn't clear him. Saturday, he was supposed to have a shoot for a reality show nila sa Korea kaya hindi agad nakalipad," said Cuan. 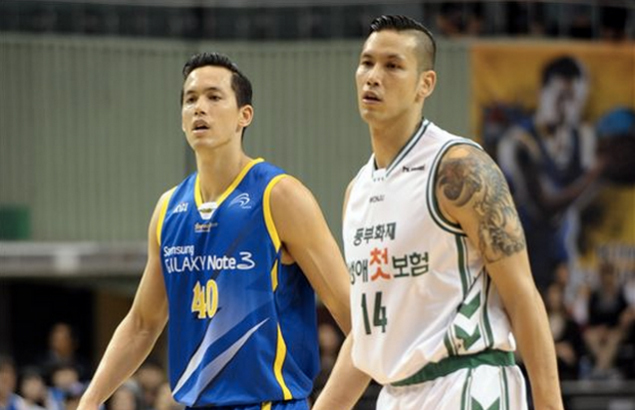 The 36-year-old Daniel Sandrin played for the Daegu Orions and the Seoul Samsung Thunders in the Korean Basketball League after suiting up in college for University of Portland, Seattle Pacific University, and Yonsei University. He will team up with his older brother, who played in the Korean national team during the 2013 Fiba Asia Championship in Manila. With Alab left with only one world import, Singapore made the most of its height advantage, with Justin Howard collaring 20 rebounds for the Slingers. As a team, Singapore outrebounded Alab, 55-39. "'Yung being outbounded, given na 'yun because we are not that tall. We have only one big. We battled pero kulang lang kami talaga sa height ngayon," said Cuan.